For some General Motors workers, times are uncertain. Monday, the automaker announced a massive restructuring, proposing plant closures, layoffs, and model discontinuations. Right now, these are just propositions. GM will have to negotiate with the United Auto Workers union on the details. It’s unlikely neither will want to conceded with GM hoping to reduce costs as consumers shift from cars to crossovers while the UAW tries to minimize plant closures and layoffs. For all the doom and gloom brandished about, Lansing, Michigan is hopeful GM will stay committed to the community. However, there’s some space for product, and therefore, less sunken cost into the operation of these plants. 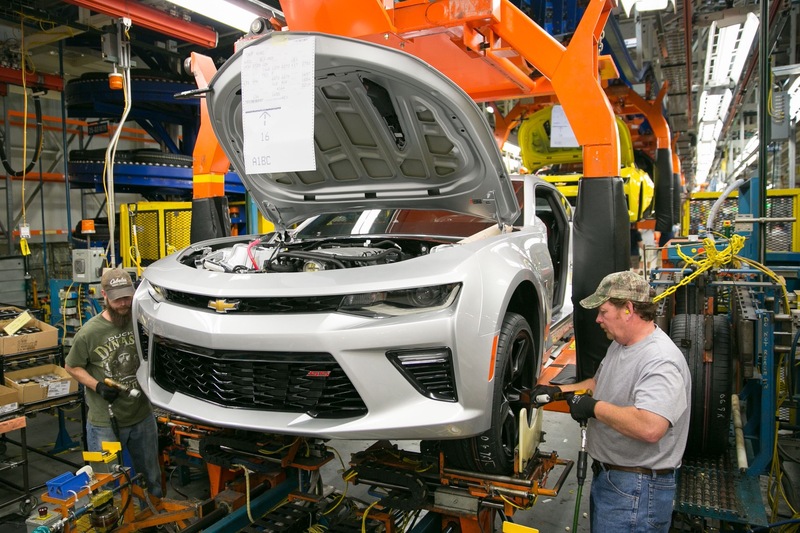 A Lansing State Journal editorial published this week talks about GM’s presence in the community, and how the Greater Lansing area and its GM factories could be beneficial to the automaker. The Lansing Delta Township Assembly opened in 2006 with GM pouring nearly $600 million into the factory since a 2014 expansion. It builds the Chevy Traverse and Buick Enclave. The third shift was cut from the plant when GMC Acadia production moved to Spring Hill, Tennessee, where it’s built alongside the Cadillac XT5. A third platform mate, the Chevrolet Blazer, will be built in Mexico. As of November 15th, the Lansing Delta plant runs two shifts on the assembly line, and three in stamping, employing 2,865 people. To efficiently operate, the General Motors plant needs another shift on the assembly line, and more product. It’s unsure where the upcoming Buick midsize crossover will be built, or the Cadillac XT6, but it’s possible that these vehicles could be manufactured in this plant next to their C1 Platform stablemates. Then there’s the Lansing Grand River Assembly that builds the Chevrolet Camaro, the Cadillac CTS, and the Cadillac ATS. Despite nonstop praise for their ride and handling characteristics, all three Alpha Platform vehicles have seen troubling sales. The Lansing Grand River plant is operating with two shifts on the assembly line and three shifts in stamping, employing over 1,800 people. Like the Lansing Delta plant, the LGR plant needs to run with another shift for optimum efficiency, but that doesn’t appear to be on the horizon. At the end of the day, General Motors is looking at its bottom line, and poor sedan sales are not sustainable. While Lansing Delta Township Assembly’s future feels secure, it’s hard not to feel nervous for Lansing Grand River Assembly employees. GM said Lansing area workers wouldn’t be affected by the cuts; however, analysts are forecasting additional layoffs and cutbacks in 2019. We’re just speculating, but the Lansing Grand River plant could receive next-generation Cadillac sedans and a seventh-generation Camaro as product allocations, but if the market demand continues to shift towards crossovers and SUVs, and if total new car sales for the industry continue to contract, that could signal a doom for the facility. Something else, something with minimal added complexity and a high demand market forecast, needs to be built there. Earlier this month, GM announced it would transfer 200 workers from the plant to Flint where it is suspected GM will build the Silverado HD and Sierra HD pickup trucks. Sales of the Camaro were down 26 percent through September. However, earlier this year GM announced investing $175 million into the factory for future Cadillac sedans. General Motors also laid off 500 from the facility, too. I would not believe anything the Detroit Free Rag writes. Rear-wheel-drive performance sedans and coupes still have a market, it is the FWD ones whose sales are falling. With GM’s capital investment moratorium for US plants, few of their facilities are flexible enough to build more than one platform (ironically Hamtramck and Oshawa are two of the most flexible plants GM has). If LGR closes, production of Camaro and the Cadillac CT4 and CT5 will end as well. That could possibly mark the end of Cadillac or Buick as divisions. Why would you need two divisions building high-end CUVs? $2 an hour for Mexican workers. Glad I bought the Cruze the end of November. Yeah well maybe if Cadillac did a proper XT6 instead of a Chevy re-badge, that plant would be humming soon. Both of these plants are running two shifts. While that’s not full capacity it isn’t a bad spot to be in either. The GM plants in Lordstown, DHAM and Oshawa were all running just one shift and were severely underutilised. GM has a large number of new products in the pipe. I’m sure these plants will get additional product. LGR was never intended to be a super high-capacity plant to begin with. And RWD coupes/sedans are still craved by those seeking performance.